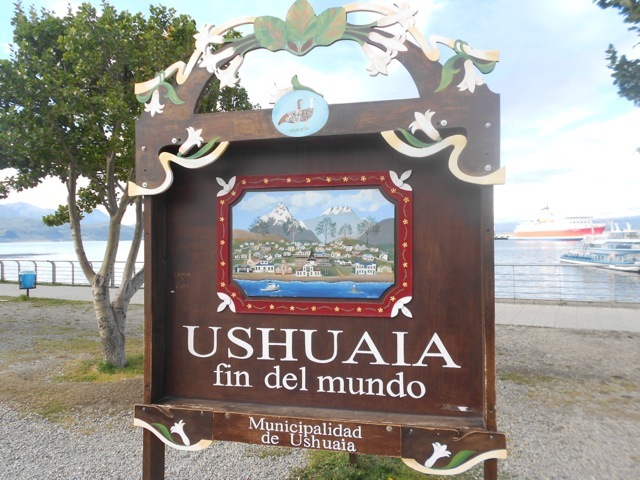 Ushuaia is the city at ‘fin del mundo’ – the end of the world. It’s the southernmost city in the world located on Tierra Del Fuego, an island at the southern end of Patagonia shared by Argentina and Chile. Apart from the other islands of southern Patagonia, the only place further south than here is the great White Continent. 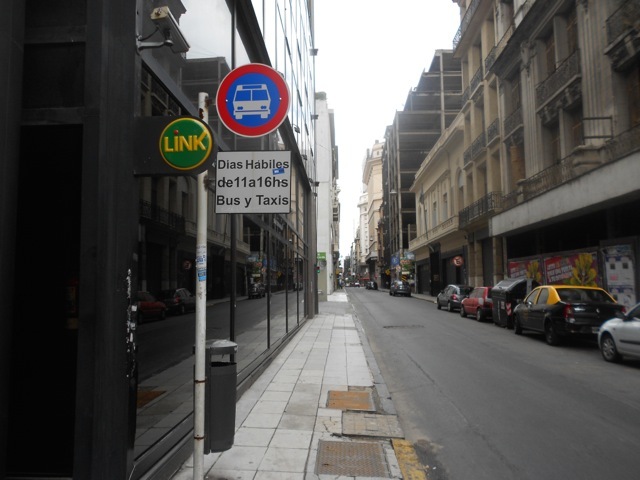 The taxi drive from the hostel in Buenos Aires was a rather exciting and scary experience. I shared with a Japanese lady and the pair of us huddled in the back seat as we hurtled headlong along the motorway to the airport. While the lanes were well-marked, the driver didn’t seem to notice them. He shot along at 130km, weaving madly even though the road wasn’t busy. We both felt safer once we arrived at the airport. The 3 hour and 45 minute flight became an adventure of its own when fog in Ushuaia forced the plane to land at Rio Gallegos, some distance to the north, to sit it out. Thankfully it didn’t take long. The approach to Ushuaia was along the Beagle Channel which separates Isla del Tierra Del Fuego from Isla Navarino to the south. As we descended into the airport the sights were mind-blowing with snow-capped, rocky mountain peaks on either side. Ushuaia was larger than I expected. I’d pictured a quaint little port township nestled on the edge of the mountains, but it’s actually quite large. Stepping out of the airport the sights were amazing, the city nestled under the mountains on the edge of the channel with the mountains spreading from horizon to horizon. While I’d been warned not to expect much from the weather, it was fairly clear when I arrived and over the next couple of days, became cloudy and overcast. The mountains usually begun the day covered in cloud, only to clear as the day progressed. The Ushuaia Freestyle Hostel was a fairly nice place although like most cram as many people into a small amount of space. There were several common rooms including a large TV room and games room on the top level. Mostly the staff were friendly, although one or two had an ‘I don’t really care’ attitude unless you were spanish or an attractive woman. The wireless internet was pretty poor forcing everyone to wait for the two provided computers or go into town. While one of the better hostels in town, it closed down shortly after I was there, becoming part of hotel next door. Downtown Ushuaia was a lot larger than I expected, the main road being quite long and for the most part has shops along both sides. The city is a little touristy, which isn’t a bad thing, and it actually has a full supermarket, something I wasn’t able to find in central Buenos Aires. There are all sorts of shops here and many more shopkeepers speak english than in Buenos Aires, but I was still unable to find a mini SIM card at one of the many mobile phone stores. Not that I needed to call anyone, it would have been useful to have a steady means to get access to the internet. 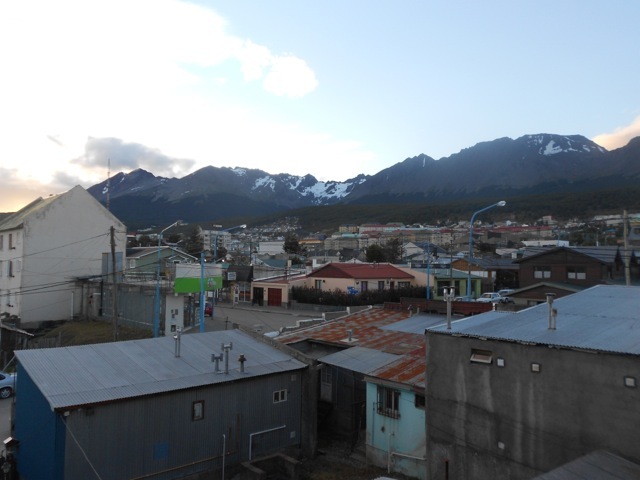 Overall, Ushuaia was beautiful and even at the end of summer, it wasn’t that cold. I did get some strange looks walking around in the middle of the day in flip-flops and a t-shirt. Evenings got cooler, but not freezing. It was just chilly enough to be refreshing (for me anyway) but most people were decked out in their warm clothing. I still carried a jacket, just in case, but got hot quickly climbing up the hill to the hostel or when I entered an air-conditioned shop. Winter there would be seriously icy. 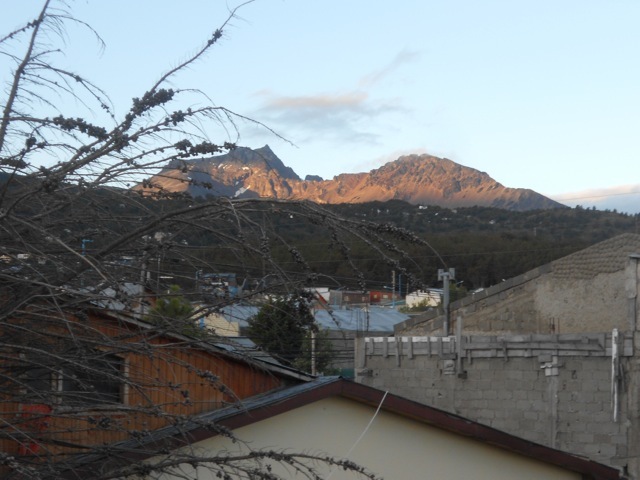 I went to Ushuaia with no strict travel plans and just figured it out as I went. I did book one of the Antarctic cruises, for 12 days and it cost me more than I had planned, but when was I going to have the opportunity again? It did mean I had 10 days to kill in Ushuaia. The 2-day Paso de la Oveja – Sheep Pass which climbs though an idyllic valley and over a mountain pass. A climb up to the Martial Glacier, with great views of the city and channel. Next, I headed off on my Antarctic Voyage. On my return from the great white continent, I caught a bus north to Punta Arenas, Chile. So many adventures to be had. But thus is life. After an exhausting 11-hour flight from Auckland to Santiago de Chile, wandering around the Aeropuerto Internacional, I quickly realised my 8-week spanish course hadn’t prepared me for being in a place where no-one speaks english. The airport wasn’t the most straightforward of places, but I eventually found my way to my connecting flight, not before walking up and down the airport at least a dozen times. Luckily I had plenty of layover time. As I flew out of the pencil thin country the sight of the many layers of the Andes blew my mind. Alas, my phone battery had died on the long flight so was unable to take photos. Unlike the rather mountainous and brown Chile, Argentina is flat and plentifully green. Two hours after leaving Santiago de Chile I landed in Buenos Aires, a sprawling city of 13 million people. I booked my bus to the hostel and 90 minutes later I arrived. Being driven around Buenos Aires is an experience. There are lines on the road to help make things orderly but few drivers use them, they jam themselves in willy nilly. On several occasions we nearly clipped another vehicle, a regular occurrence based on the amount of dents many cars have. 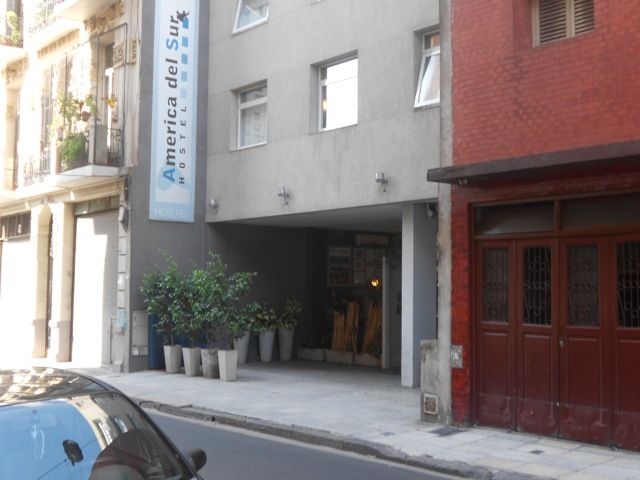 I stayed in the America del Sur Hostel in the inner city suburb of San Telmo and found it an excellent hostel. The english speaking staff were always helpful, the beer fridge well stocked, and the wi-fi was good. It was hot and muggy in Buenos Aires, but since I’d been living in Brisbane I was used to it. 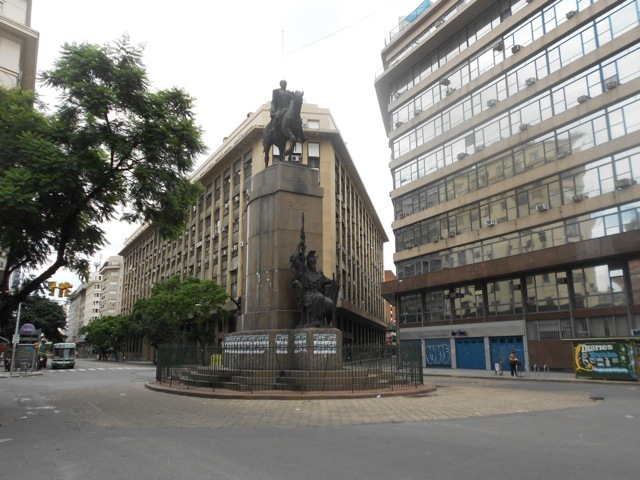 I took my opportunity to wander the streets and see what was around. I’d originally planned a bicycle tour so didn’t take many photos, but due to flight changes didn’t end up taking the tour. While touring Australia a couple of months earlier I’d been notified that my flights to Ushuaia had changed. Two days before the flight I was notified that it’d been changed again, a day earlier. This cost me money to try to contact them, prepaid nights at the hostel and caused me to miss my bicycle tour. This wasn’t the first trouble I’ve had with Orbitz – a US travel company – and do not intend to use them again. 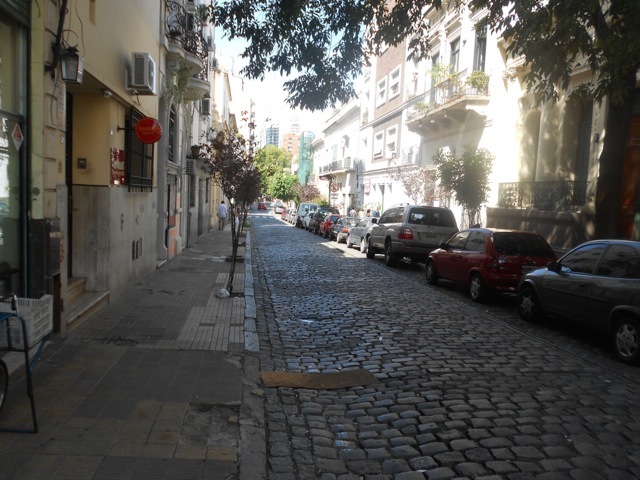 The streets of Buenos Aires are narrow and many are paved. They must hold regular elephant races through the streets as many footpaths are smashed and have jagged concrete sticking up in many places. After a bit of a walk I found a statue, parliament house and the main central city open-air shopping mall. While there were plentiful police around, I stayed aware of the people around me and a kept my hands near my valuables. Buenos Aires has a dangerous reputation for petty crime with street thugs, pickpockets and muggings. For my first Latin American experience I erred on the side of caution. The open-air mall was very large, continuing for many blocks and crossing roads – mostly one way streets, where cars race by almost unannounced. There was also the ever-present call of ‘cambio, cambio’ – change, change – from black market foreign money exchangers. I was warned not to use their services even though they can offer some excellent rates, but since they only accept US dollars and the Euro, I had nothing to change anyway. They have everything you could need in the central city, although the streets are dirty, with rubbish, dog faeces, people sitting around at random spots, old buildings, broken foot paths, broken buildings and the smokers – EVERYONE smokes. But this doesn’t make Buenos Aires a bad place, just mysterious, quaint and smoky. Then, just as I started to get used to it, it was time to leave. My stay in Buenos was about settling into a foreign speaking country, dealing with the culture shock and getting a few things sorted for my ongoing trip. 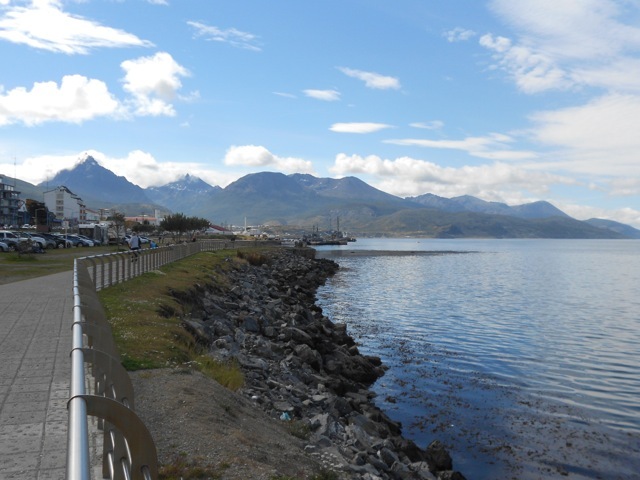 Next, I headed to Ushuaia, in the province of Tierra del Fuego – Land of the Fire – the southernmost region of Patagonia.